Tree Radar investigation…..Burghley Oak…..Sharon and Ian return. 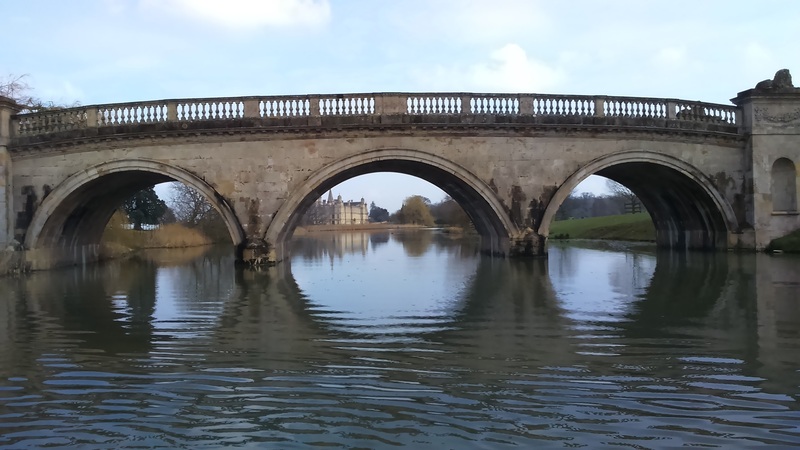 Following the 2015 visit to the Burghley Estate in Lincolnshire with the BBC and Dallas Campbell, Sharon returned at the request of the Ancient Tree Forum to scan the tree again, this time, going out to the full 24 metre radius of the root protection area. The trip has been made into a film which will be available to view from w/c 4th April. The recent trip to Eindhoven with Ian Lee of Lloyd Bore to meet with Michiel Mol, of Terra Nostra, was a resounding success. Ground truthing experiments with the new software release for the Tree Radar unit allowed Sharon and Ian Lee to determine what we get from the unit, and the results confirmed what they both hoped. Click here to view the report. A film of the work is below. Following a ‘bad’ migration of our hosting company to its UK address, you may have noticed that our blog posts stopped in May 2015. This is a shame, as we’ve been blogging some great stuff since the company started until March 24th. Anyhoo, love it or hate it ( I currently don’t exactly ‘like‘ it), t’internet is here to stay, and posts will return from today, starting with the great trip we made to Holland where we met the equivalent of the hungriest friendly elephant you’ve ever seen. And I’m not talking about Ian Lee, the talented senior arb at Lloyd Bore, who joined us in Eindhoven with Michiel Mol. I refer to the ground sucking machine, seen pictured on the Eindhoven post. The Eindhoven report is included to view in the post, and the film of the trip, of which a trailer is inserted, will be coming soon. Another trip is currently in the planning stage. Apologies for the glitch. 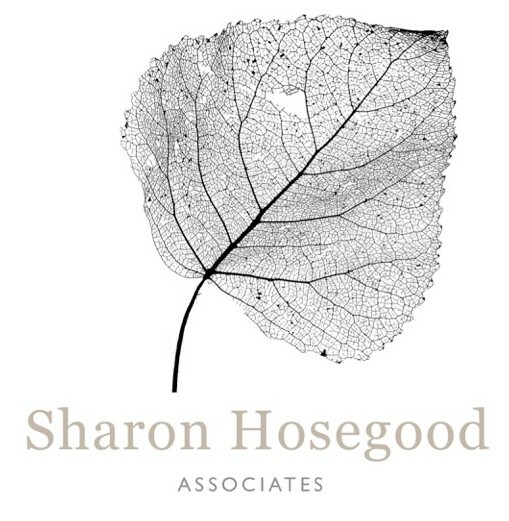 If you require any info on blogs past, please get in touch. Tree Radar Report from Holland investigation in Eindhoven is available here. Please bear in mind this file is large and may take some time to upload. The report illustrates how tree radar results correlated with what is underground. 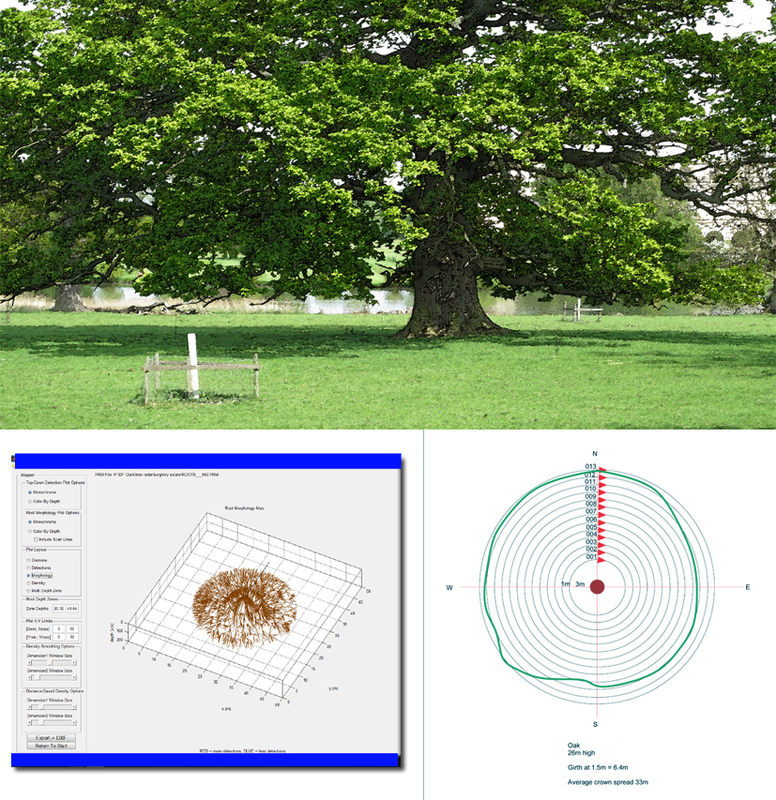 Following the recent trip to Burghley where Sharon and Ian Lee re-scanned the oak with the updated Tree Radar software which was the subject of ‘Britain Beneath Your Feet’ last year on the BBC, the results of the scans have now been analysed. This time they also scanned the ‘actual’ root protection area of the tree, which ultimately ran to a 24 metre radius. The trailer of the film that accompanies the report is below for a taster of what went on when we travelled back to the estate. The full film and the report will follow after the Easter break 2016.